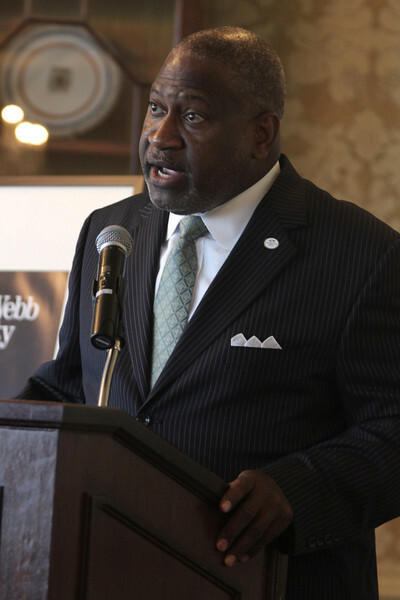 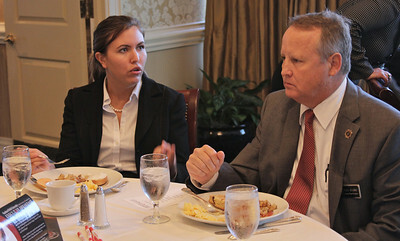 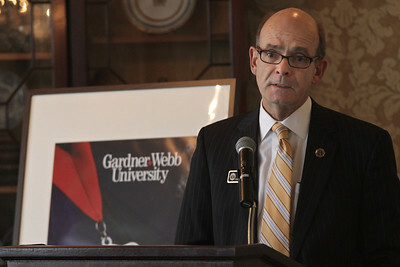 Gardner-Webb University hosted an Executive Breakfast in Charlotte, NC. 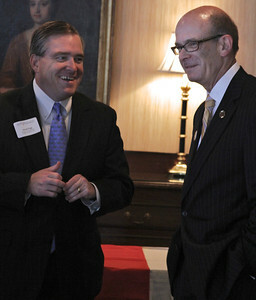 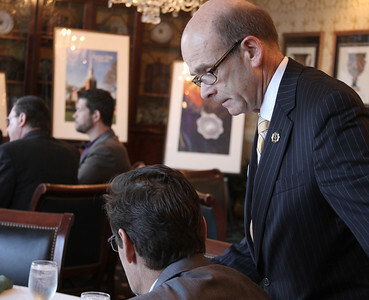 Dr. Frank Bonner, President of Gardner-Webb University, speaks with David Page during the Executive Breakfast. 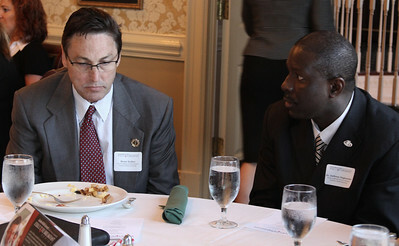 David Page engages in conversation during the Executive Breakfast. 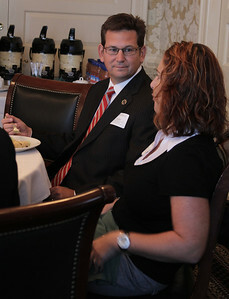 Dawn Anthony speaks with attendees of the Executive Breakfast. 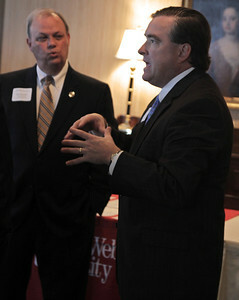 The Executive Breakfast was an opportunity for meeting other people involved in Gardner-Webb University. 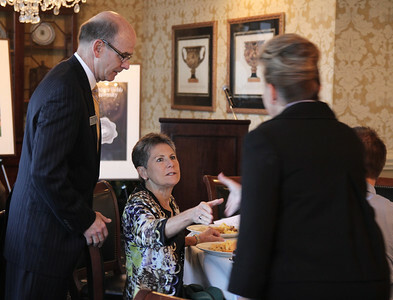 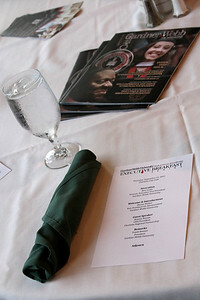 Gardner-Webb University's Executive Breakfast in Charlotte, NC encouraged attendees to meet and speak with other people involved in Gardner-Webb University. 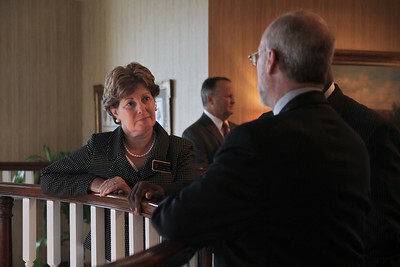 Dr. Frank Bonner, President of Gardner-Webb University, speaks with Monte Walker before the program for the Executive Breakfast began. Ronnie Bryant, CEO/President of Charlotte Regional Partnership, was the guest speaker for Gardner-Webb's Executive Breakfast. 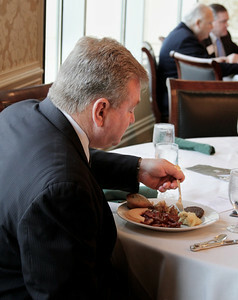 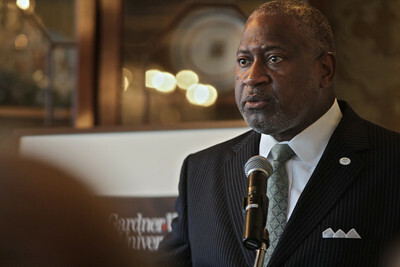 Monte Walker, Vice President for Advancement of Gardner-Webb University, at the Executive Breakfast. 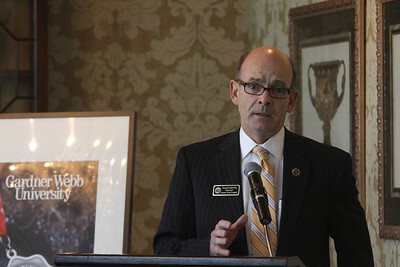 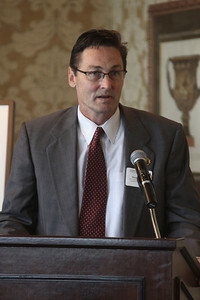 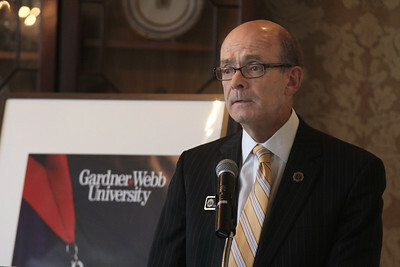 Dr. Frank Bonner, President of Gardner-Webb University, concluded the Executive Breakfast with remarks.